Phillip L. “Skip” Reed, 81, of Jewett passed away Wednesday, September 5, 2018 at Valley Hospice in Steubenville. 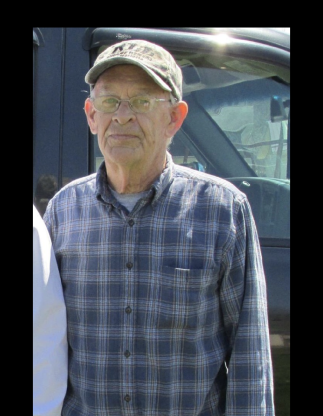 Born May 2, 1937 in Harrisville he was a son of the late Paul and Nedoline Hildreth Reed. Skip grew up helping his father in his auto body shop and worked for various body shops until he started his own, Reed’s Auto Body, in Fairborn. He moved his family back to Harrison County around 1970 and he went to work at Consol’s Georgetown Prep Plant for 20 years. He also honorably served in the Navy for 4 years. Skip enjoyed doing anything involving old cars, attending the Canfield Swap Meet and paling around with his name’s sake grandson Phillip. He was preceded in death by his wife Nancy Ledfors Reed on October 19, 1995. They married on April 17, 1960. Also preceding him in death are brothers Bill and Dave Reed. Surviving are sons G. Carl Reed of Gnadenhutten, Tim (Heather) Reed of Jewett and Mark (Sharon) Reed of Harrison, Arkansas; grandchildren Phillip A. Reed of Jewett, Jacob A. Reed of Gnadenhutten and Madison Reed of Harrison, Arkansas; a brother Robert “Bob” (Marion) Reed of Coraopolis, Pennsylvania and a sister-in-law Trena Reed Sherod of Dayton. A memorial service will be held Saturday, September 8, 2018 at 4 pm in Koch Funeral Home, Scio with Pastor Jerralyn Myers officiating. Friends may call two hours prior to the service from 2-4 at the funeral home.